Earlier this month, when I was looking for ways to improve my marriage, my search did not yield the results I was anticipating. To my surprise (or maybe not so much), I found that there are overwhelming opinions about what a woman can do to keep her marriage healthy. For instance, I found articles that focus on “what a wife can do keep the passion in her marriage”, “what a wife can do to support her husband”, and there are more about “what a husband needs from his wife.” In fact, I had a very hard time locating articles that focused on what the husband could do to help maintain a healthy marriage. Now, let’s be clear, it is not my claim that articles with a focus on what the husband can do don’t exist, I am simply stating that there seems to be more articles focused on instructing the wife on how to be better a wife than there are that focus on how the husband can be better a husband. For this reason, I’m led to conclude that if the Internet or the World Wide Web, is saying that it’s the woman’s role to fix her marriage or that it’s the woman’s fault that marriages are ending, then it is clear to me that society must agree with this notion too. Well, I for one, wholeheartedly disagree with that sentiment. Let me break it down! Okay, so two people enter a Union which means two people are responsible for making sure that the Union works, not one. So how is it just the fault of the wife if the marriage fails. 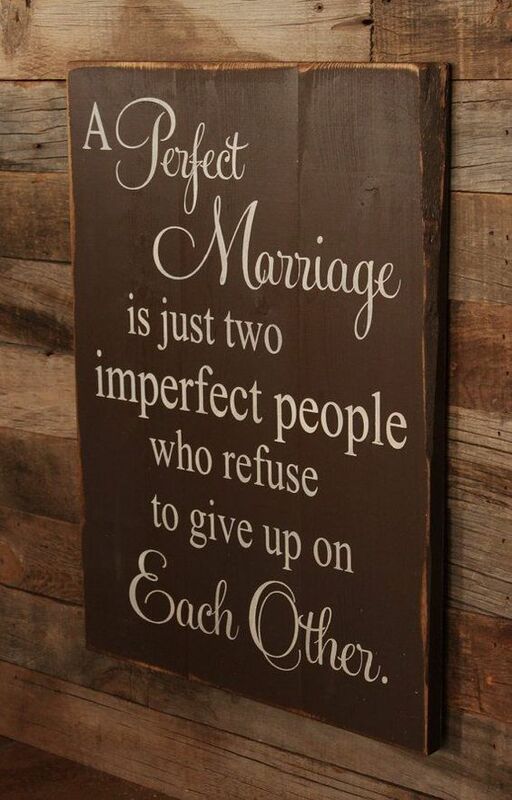 Marriage is about two imperfect people joining to form a Union that they each vow to keep, and because of this, there should be no one person at fault. So why does it all seem like it’s the woman’s fault? To further show that failed marriages are not one sides, I made a list of reasons that outline why I believe marriages fail. Now, you can agree or disagree with me, that right definitely yours, but I ask that you at least hear me out. The list above is in no certain order and neither are the items designated to one specific spouse. They are however, definitely things that happen continuously in a failing marriage. I think they happen because vows were not taken seriously, because yokes were unequal, and because people made the marriage about their will instead of God’s. Failed marriages happen because no one wants to admit to that they have contributed to the mess. In my opinion, society should no longer blame the wife for failed marriages and broken homes, for that burden is too much for the woman to carry alone. A marriage only works if the people in it work together; nothing new, right? So why do you think marriages fail? Is it the fault of one spouse? I would love to add your reasons to the list!